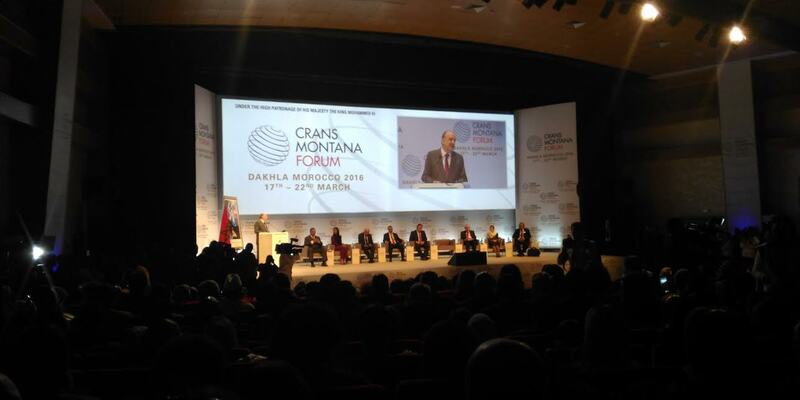 The holding for the second consecutive year of the Crans Montana Forum in the southern Moroccan city of Dakhla with the participation of 850 distinguished guests from around the world, dealt a blow to Algerian and Polisario leaders who did everything to foil this encounter. “Your decision to meet, once again, in the city of Dakhla has more than just a symbolic meaning. 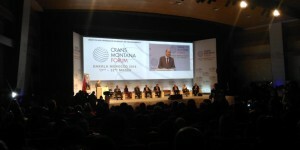 It bears witness to the fact that fresh momentum has been given to the vision we have of the Moroccan Sahara as a place conducive to interaction as well as a platform for time-honored human and commercial relations and for the exchange of knowledge between the South and the North,” said King Mohammed VI in a message to the Forum. The royal message was read out by Yanja El Khattat, president of the Oued Ed-Dahab-Dakhla region, at the opening Friday March 17 of the 27th session of the Forum, to wind up on March 22. “The fact that the forum is held in Dakhla under the aegis of Mohammed VI is highly symbolic at the diplomatic scale because it enshrines the idea that this is a Moroccan territory. One can even say that all participants in this forum implicitly recognize the Sahara as Moroccan territory,” said Yousra Abourabi, research associate at the Jacques Berque Centre in Rabat. And that’s where the Algerian leaders and their protégé, the Polisario, are most badly hurt. They realize that the holding of this international meeting in one of the major cities of Western Sahara constitutes a de-facto recognition of Morocco’s sovereignty over this region and consigns the Algeria-backed Polisario’s independence claims to oblivion. Observers are expecting the 2016 session to score the same resounding success as the 2015 edition of the Swiss influential NGO, set up in 1986 at the initiative of Jean-Paul Carteron. The Algerian and Polisario leaders and their media are riled by the holding of the Crans Montana Forum in Dakhla the same way they are angered by Morocco’s courageous decisions and the victories it continues to score diplomatically, as it did in its quarrel with the UN Secretary General Ban Ki-moon. The rulers of Algiers can’t stand the undeniable support extended to Morocco and to its national Sahara cause by so many powerful countries, including permanent members of the Security Council such as France, the United States and even Russia that Algerians were considering until recently as their greatest ally.